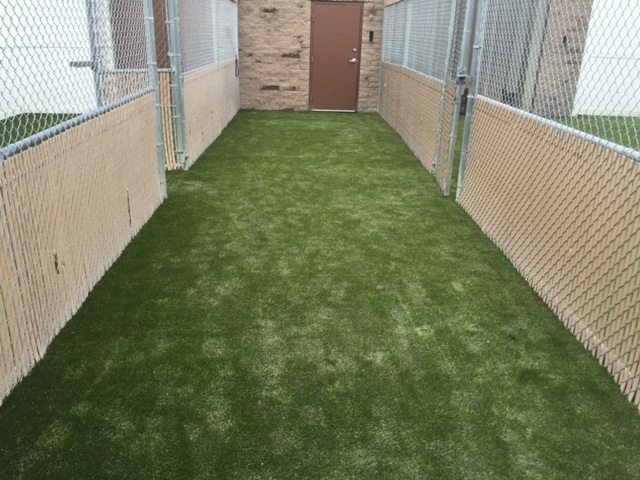 When Camp Bow Wow, the biggest and fastest growing business dedicated to pet care in North America, realized they needed new artificial grass, they called ForeverLawn Northern Ohio for an installation of K9Grass. In 2000, the franchise began as a single camp located in Denver, Colorado, and now there are 130 Camp Bow Wow facilities established in the U.S., with 20 more scheduled to open soon. Unfortunately, the Camp Bow Wow facility in Bedford Heights, Ohio was experiencing issues because of the permeating smell of pet urine. Clients began complaining that dogs went home smelling like urine. Thanks to our premium quality K9Grass, Camp Bow Wow can continue caring for pets in Northeastern Ohio and pets can go home smelling clean and fresh. Camp Bow Wow’s goal is to provide safe, fun, and individualized care for pets at the Camps and through dog training (with Behavior Buddies) and in-home pet care (with Home Buddies). This is impossible if unclean smells are hurting clients’ trust in the business. 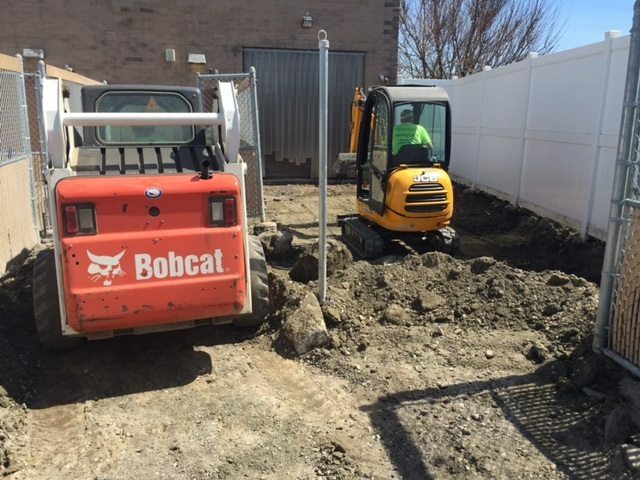 To resolve this problem, we began the project by removing pea gravel and asphalt. 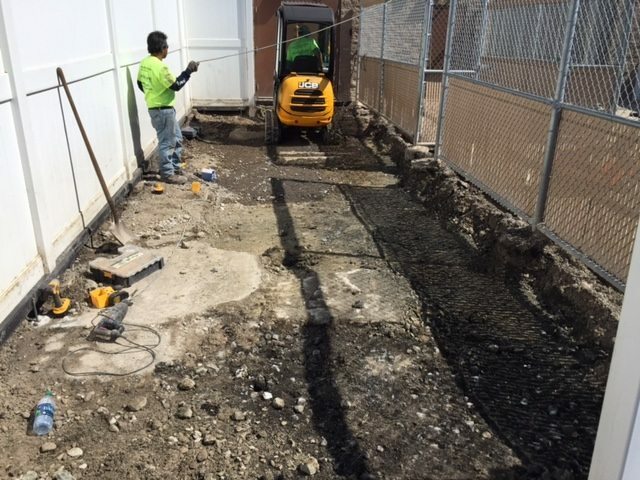 Then we had to dig through approximately 10-12” of compacted stone base to reach the soil; the asphalt and stone needed removed because they shed water instead of allowing liquids to absorb into the ground. 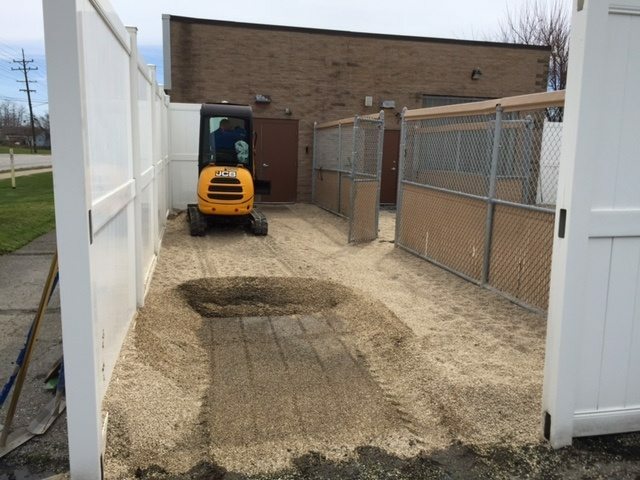 After finishing these steps, we installed large stones as a bottom layer, smaller stones as the top layer, and then 1740 square feet of our K9Grass Lite. The entire project took just over a week. Now Camp Bow Wow has a realistic, beautiful turf that will only add to the health and happiness of pets and their owners. Because K9Grass is specially designed for dogs, Camp Bow Wow can use the antimicrobial protection and flow-through backing to prevent smells from settling into the business and the pets. 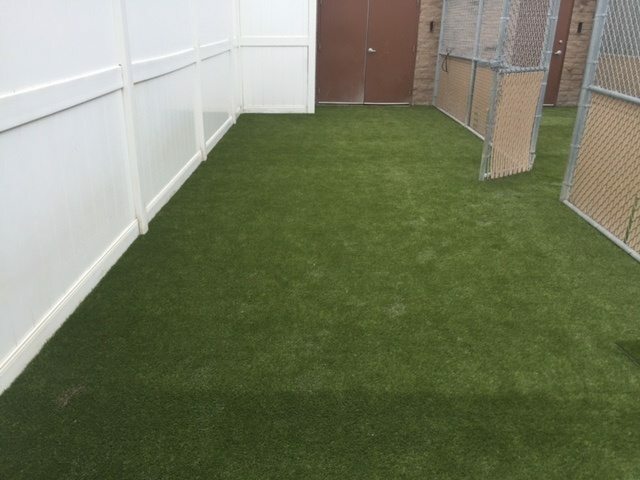 Our synthetic turf saves on maintenance, kills germs, and eliminates fleas. We consider K9Grass one of the best investments to make in protecting pets, and were thrilled to complete this successful project on their behalf.